REDMOND, Wash and SAN FRANCISCO (July 14, 2015) — MediaAlpha, the emerging leader in performance-based, real-time advertising technology, announced today that it has entered into a renewal of its agreement with Esurance. Under this agreement, Esurance will continue to make its auto insurance click-based advertising inventory available exclusively through MediaAlpha’s real-time demand management platform to advertisers looking to access high-intent insurance shoppers on Esurance.com. Through its Exchange platform, MediaAlpha has created the industry’s largest marketplace for high-intent insurance advertising inventory, facilitating real-time, programmatic transactions between hundreds of insurance advertisers and publishers. MediaAlpha’s advertising platform enables insurance publishers to sell their inventory directly and transparently to leading advertisers while leveraging MediaAlpha’s sophisticated yield optimization algorithms and technology. MediaAlpha is a leader in performance-based, real-time advertising technology, reshaping how performance media is bought and sold. The company operates the MediaAlpha Exchange, a transparent, RTB-enabled clearinghouse for insurance and other vertical-specific performance media. MediaAlpha’s technology also provides private exchange capabilities to leading premium publishers. MediaAlpha is headquartered in Redmond, Washington and has offices in Los Angeles, California and Tampa, Florida. 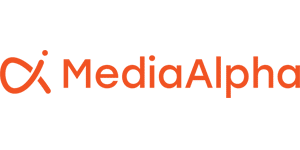 For more information on MediaAlpha, please contact pr@mediaalpha.com or visit www.mediaalpha.com. Esurance provides auto, homeowners, motorcycle, and renters insurance direct to consumers online, over the phone, and through select agents, including sister company, Answer Financial. With an easy-to-use mobile app, quick comparison quotes, and video claims appraisals, Esurance is the smart choice for today’s web-savvy consumer. As a member of the Allstate family with an A+ rating from A.M. Best, Esurance is a reliable choice for car insurance, offering anytime, anywhere service just a click, call, or tap away. For more information, visitwww.esurance.com or call 1-800-ESURANCE (1-800-378-7262).